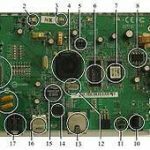 Home / Electronics Articles / What is a microcontroller? A microcontroller is a small computer on a single integrated circuit (IC). A microcontroller is self controlled system with peripherals, memory and processor that can be used as an embedded system. 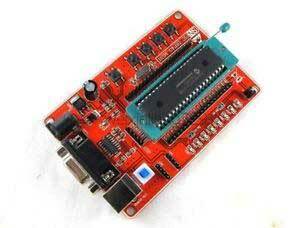 It is also known as embedded controller. The first microprocessor was the 4 bit Intel 4004 released in 1971, with the Intel 8008 and other more capable microprocessors becoming available over the next several years. It is a system which is built on a chip. It is often small and low cost. 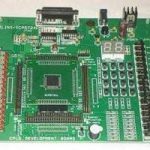 The components are chosen to minimize size and to be as inexpensive as possible Microcontrollers are designed for embedded applications, in compare to the microprocessor used in personal computers or other general purpose applications. 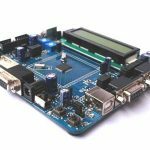 Some embedded systems are more sophisticated, while others have minimum requirements for memory and programming length and a low software complexity. Input and output devices include solenoids, LCD displays, relays, switches and sensors for data like humidity, temperature or light level, amongst others. 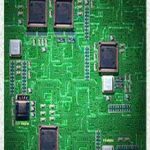 It is used in automatically controls products and devices like remote controls, automobile engine control system, medical devices and other embedded system.